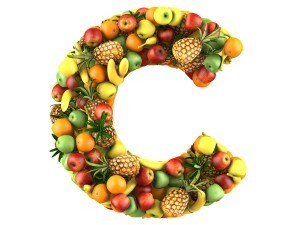 Can you tell me how much Vitamin C there is in either of these products? By the gram… Question: We need to know if we still have to buy real Vitamin C to add to our daily supplements or not. We have adults and children we are putting on Spirulina and chlorella. We want to make chlorella and spirulina the core of our daily supplements. Question: What else do we need to take on a daily basis along with these two products? Thanks, Emma P.
Great that you’re giving chlorella and spirulina to your children and take it yourself. Most powerful foods on earth, by far. I gave my boys both from 4 years old. You could start chlorella and spirulina anywhere from 9 months. Both have vitamin C but the best place for Vitamin C is fresh fruit, citrus, mango, berries, many others – also fresh greens such as arugula or spinach. . Vitamin C is not stable so fresh foods are best, especially uncooked since cooking reduces the bioavailability of Vitamin C.
This entry was posted in General, Spirulina & Chlorella and tagged best chlorella, best chlorella brand, best chlorella brands, best chlorella on the market, best chlorella powder, best chlorella powder brands, best chlorella supplement, best chlorella supplement brand, best chlorella tablets, best chlorella to buy, best organic chlorella, best quality chlorella, best source of chlorella, broken cell wall chlorella, broken cell wall chlorella reviews, broken cell wall chlorella tablets, china chlorella, chlorella, chlorella best brand, chlorella brands, chlorella broken cell wall powder, chlorella products, clean chlorella reviews, cleanest chlorella, cracked cell wall chlorella, high quality chlorella, organic broken cell wall chlorella, organic cracked cell wall chlorella, taiwan Chlorella, the best chlorella, the best chlorella to buy, top chlorella brands, vitamin C, what is the best chlorella, what is the best chlorella brand. Bookmark the permalink.